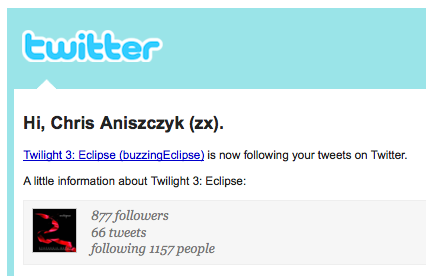 My inbox and twitter account has been under attack lately by Stephanie Meyer and her Twilight minions. It used to be much longer before and I’m trying to strike a balance now. Anyone have a better one :)?